to take part in the 2016 Sport Relief Swimathon. 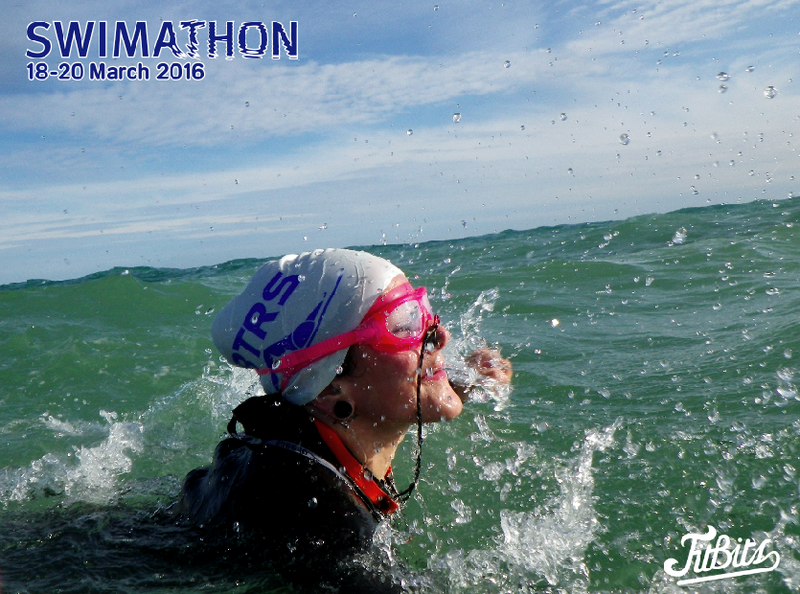 Taking place 18-20 March in pools across the country, the Swimathon is a great event for all abilities, ages and levels of fitness, with the Individual 1.5k, 2.5k or 5k challenges, Team 1.5k and 5k, and SimplySwim for those wanting to spread the distance out over a number of days. I’m excited to be part of this year’s Swimathon #BlogSquad along with a few other great bloggers. 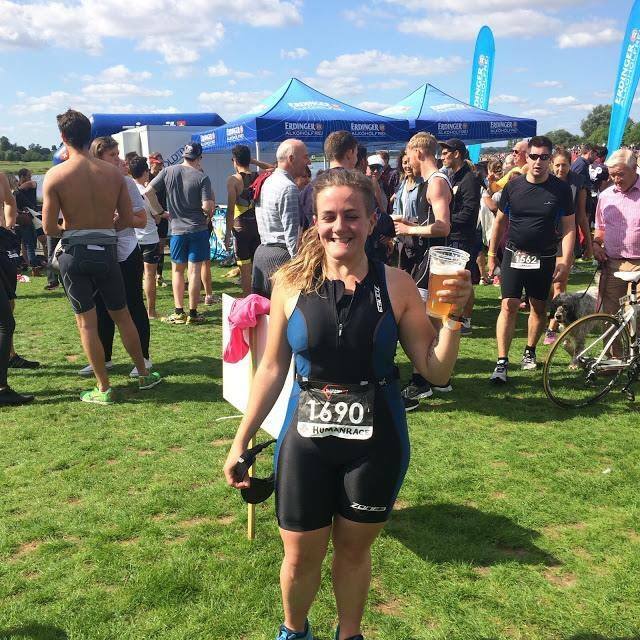 Regular readers of this little blog of mine will know that I only learnt to swim in the tail end of 2014, and promptly forgot about it until I signed up for my first triathlon last September. You’ll be glad to know I survived to tell the tale and signed up for another one the week after. I originally wanted to sign up for the Swimathon 1.5k or 2.5k Individual challenge at the iconic London Aquatics Centre, but it’s the same weekend as my Ultra White Collar boxing fight so I’ll be completing 5k between 9-13 March. SimplySwim is open to competitors between 9-20 March but I want the week before my fight nice and free to prepare. The latest report from the ASA states that one in three children leave primary school as non-swimmers, and one in four adults today cannot swim either. I was one of those children – and it didn’t bother me until I got to adulthood and realised there was a whole world of stuff I couldn’t do – including triathlon. A set of nine weekly beginner lessons at my local pool and lots of flapping about got me to one full length front crawl – have a break – swim another. Repeat. I didn’t realise how hard it would be to learn to swim as an adult, and I certainly didn’t envisage having to put my triathlon plans on hold another year until I’d got strong enough to swim 400m without stopping. I did eventually get to 400m, last summer, just in time for the Diamond Tri (race report here). 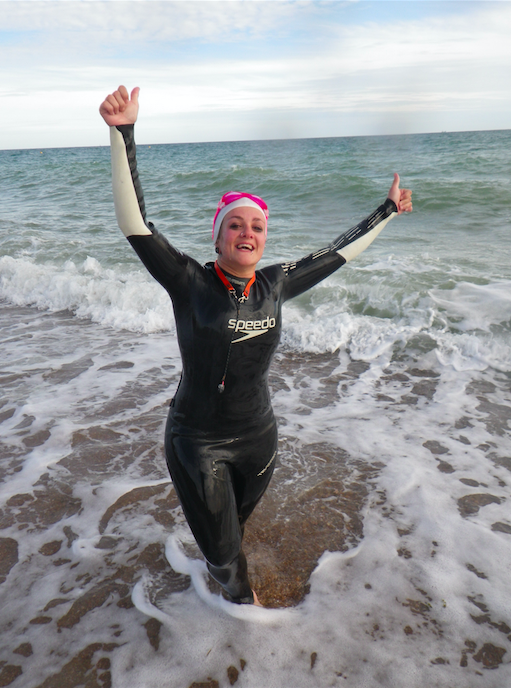 The swim was in open water at Dorney Lake, and I was terrified – but I did it, and once in the water I LOVED it. Falmer Tri was the week after (race report here), with a pool swim and a challenging hilly bike and run. That put me back in my place after a nice, flat course at Dorney. Brighton & Hove Triathlon Sprint distance, with a 750m sea swim. Training for Swimathon will give me a great base to start my weekly sea swims with Brighton Triathlon Race Series and get me strong enough for September. Best get training – stay tuned for updates!